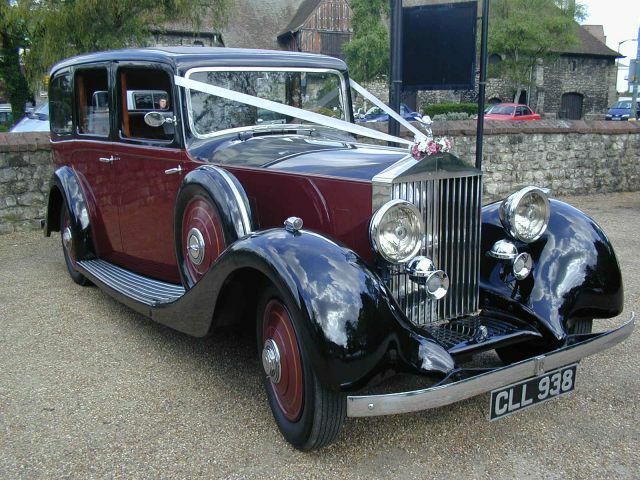 A family-run company based in the Weald of Kent, supplying chauffeur-driven vintage Rolls Royces and a prestige, luxury Jaguar as Wedding Cars. 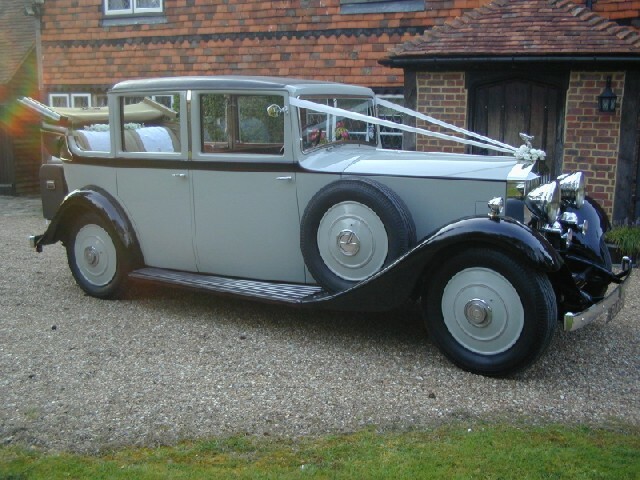 Our Rolls Royce Wedding Cars carry full weather equipment in the event of wet weather. The chauffeurs are in period uniform. The Bride & Groom are offered chilled Champagne when they return to the car after the ceremony to enjoy on the journey to the Reception. This service does not apply if the Ceremony is held on licensed premises. 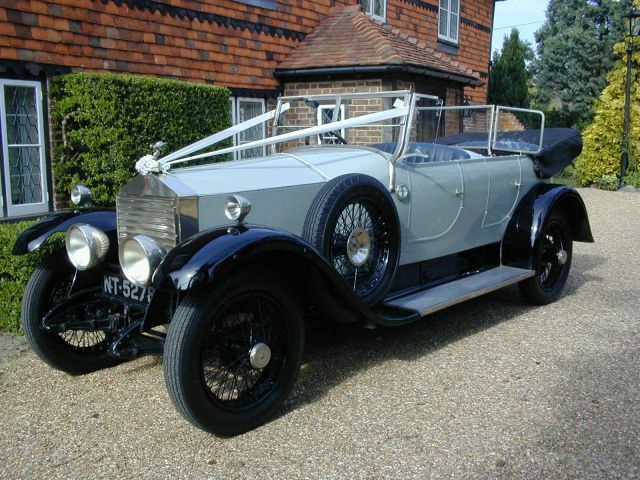 Located in Biddenden, in the heart of Kent, we are able to offer vintage Rolls Royce and wedding car hire in East Sussex also. Please contact us for further information. Detours for photographs after the ceremony must be pre-arranged and are chargeable at £20 per hour or part thereof unless on a direct route to the reception. 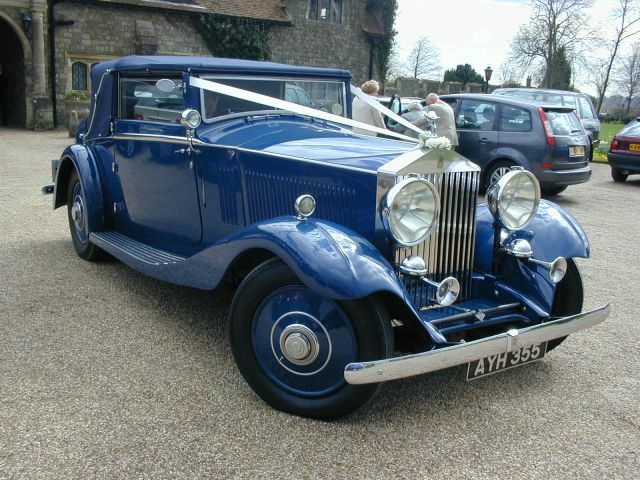 The car will wait at the Ceremony venue for up to one hour, from the time of arrival, for photographs after the Ceremony. (Applies to One Way Trip Weddings). 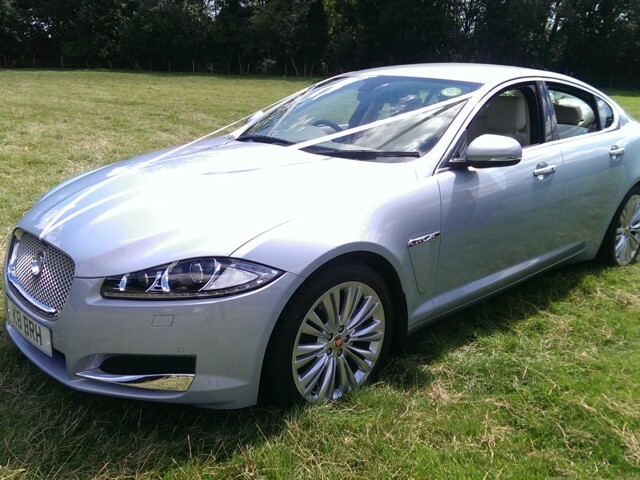 If you decide to book with us, we request a reservation deposit of £50.00 per car, with the balance due one month prior to the wedding date. You are most welcome to view the cars at our premises by arrangement. 5% discount applicable if two or more cars are reserved.